The Messianic Temple: Made without hands, or not? The Messianic Temple| Will Jesus Rebuild A Literal Temple? Both during his life and when he was on trial, he was accused of many things. Some of the accusations were true, some were not. One of the true accusations is found above, and has profound implications for the current eschatological debate today. Zionists like John Hagee, Hal Lindsay, Jack Van Impe and a host of others raise millions of dollars every year to support Israel and the efforts to rebuild the temple. We are told that the rebuilding of the temple in Jerusalem is near! Hal Lindsey claims that the recent “re-establishment” of the Sanhedrin heralds the imminent restoration of the Law of Moses cultic system. For more on this supposed restoration, see my book, Israel 1948: Countdown to No Where. It is a devastating critique of the claim that the events in modern “Israel” are the fulfillment of prophecy. 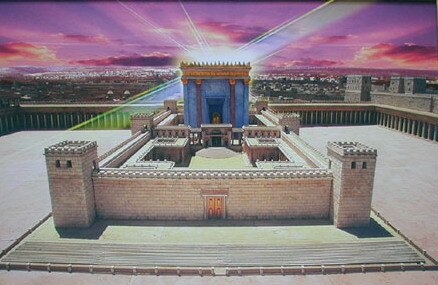 The Old Testament certainly foretold the building of the Messianic Temple. In Isaiah 2:2f for instance, where “the mountain of the Lord’s house shall be established.” This is a direct reference to the Messianic Temple. In Zechariah 6:12-13 the prophet foretold the coming of “The Branch” who would build the temple of the Lord and sit on the throne as king and priest. What kind of temple did these prophecies– and more– have in mind? Was it a physical edifice in Jerusalem? Is it to be a literal building sitting again on its geographical location on the temple mount, in spite of the fact that the Muslim Dome of the Rock now sits too close to that original location as to allow such a thing? (Lindsey and others are now claiming that there is room on that temple mount for both buildings, however. But, in truth, this is simply an attempt to allow for the desired temple. Any attempt to build a temple that close to the Muslim Dome would result in WW III. Lamentably, some Zionists openly call for such a war, insisting it is necessary for the rebuilding of the temple!). Lindsey and the host of others predicting the imminent rebuilding of the temple, and the construction of the Messianic Temple – are overlooking that the Bible is very clear that the Messianic Temple would not be a physical building at all! Notice the accusation– which was true– against Jesus: “He will build another (temple) not made with hands.” We have to look closer at this charge. In the OT prophecies of the Messianic Temple we are told that the foundation for that temple would be a living person, not a stone of granite or marble! Isaiah 28, predicted the laying of the foundation stone. We are told that those who would trust in it would not be ashamed. Now, in stark contrast to the OT condemnation of those who put their trust in the physical temple (see Jeremiah 7 especially) Isaiah was saying that the “foundation stone” of this Messianic Temple was to be believed in and trusted. Amazingly, the NT writers unequivocally say that Christ is the anticipated foundation stone of the Messianic Temple! Peter affirms this in no uncertain terms in Acts 4:11f and 1 Peter 2:6f. 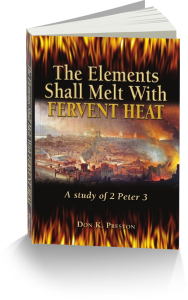 Peter leaves no doubt that Jesus was the predicted foundation stone of the Messianic Temple. Furthermore, he also says that the foundation of the Temple was the living apostolate, and then adds that living saints were the living stones of the promised Temple. This is hugely important! Dispensationalism says that the OT never predicted the church or the church age. Thus, the OT never predicted the establishment of the church as the Messianic Temple, or, for that matter, by implication, the OT never predicted Jesus as the chief cornerstone of the Messianic Temple! And yet, Jesus, Paul and Peter all cite the OT prophecies of the Messianic Temple and say that Christ is the rejected chief cornerstone. He is the living chief cornerstone! This is a total refutation of the Dispensational view of the Messianic Temple! I have produced a very special CD, entitled Romancing The Stone, which is an examination of every OT prophecy of the Messianic Temple Stone. Contact me directly to order your copy of this special presentation! It is very, very powerful! Stephen lost his life for telling the Jews– as he stood in their (now idolatrous) temple: “The Most High does not dwell in temples made with hands” (Acts 7:48). All he did was quote their own scriptures to them that the temple could not be God’s dwelling place in the kingdom, and they killed him for it! Hebrews speaks of the “true tabernacle” over which Jesus ministers as high priest, and says it is the “true tabernacle” the one that God pitched and not man. Christ’s New Covenant, Messianic temple is not made with hands. He is the living foundation stone of the true tabernacle. Then, the Hebrews author says that the Old Covenant Temple was “this creation” but, the New Covenant, Messianic Temple which is “greater and more perfect” than the Old, “is not of this creation” (Hebrews 9:11). The doctrine of a future physical Messianic Temple needs to be re-examined in light of these words. 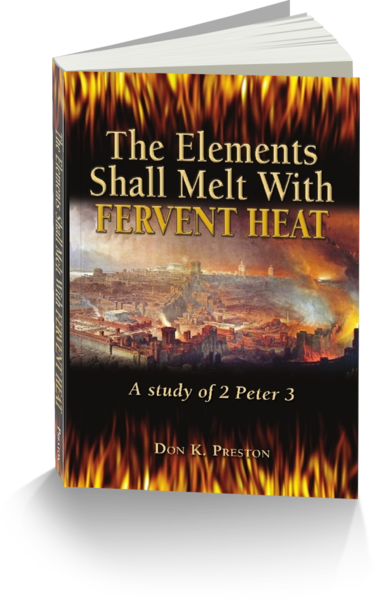 See my discussion of the Messianic Temple in my book The Elements Shall Melt With Fervent Heat. For a great study of the Messianic Temple, get this book! All of the prognostications about a future Messianic Temple are groundless and based on a misunderstanding of what the Bible actually foretold. Jesus’ accusers got it right! Jesus said he was going to destroy the old temple made with hands (and he did! ), and build another temple not made with hands. He has kept his word, and now “The tabernacle of God is with man!” (Revelation 21:3-4). Christ and his body is the Messianic Temple! Someone greater than the temple is here and his name is Jesus Christ. He is the true temple made without hands. Thank you for sharing “the made without hands=idols” exegesis. The Zionist’s do appear to want to cause WWIII the recent television program Dig did a good job in telling the story of religious fanaticism and a plot to destroy the Dome of the Rock. I am reminded of how Tom Clancy novels which had the plot line of flying planes into capital buildings was used by the terrorists in the 9/11 attack. I saw on you tube another “prophecy expert” share that his group was praying for a “scud missle” to hit the Dome of the Rock during Iraq I war. Next Next post: Messianic Temple| The Rejected Corner Stone!